User Experience is a factor that is one of the basic things to consider when creating and optimizing a website. It should be not only well made in technical terms, but also be user-friendly and easy to use. Significantly, this may affect the conversion, i.e. the translation of audience visits on your website to purchases, subscriptions to the newsletter, etc. Here are a few user experience principles that you should remember about. Do not forget about mobile devices. According to many, independently developed data, network traffic from mobile devices, i.e. smartphones, tablets, etc., is already around or even over 50% of all Internet traffic. The conclusion from this must therefore be as follows: the adaptation of the site for these devices can no longer be a plus activity, but should be the basis for its creation. What does Google tell us about this, what solutions it recommends? – responsive website – this website will automatically adjust to the screen size and device type. This is currently probably the most popular and universal solution. – dynamic display of content – when you choose this way of customizing your site, different types of content will be displayed on different types of devices. When is it worth to decide? For example, if you do not want to “cut” the content of the page too much – a more cost-effective, adapted to faster page loading, the version will be presented on mobile devices, and on the computers – the “full” version. – separate URLs – here the case is actually clear – versions for computers and mobile devices are located under separate addresses. Currently, this method is being used less and less, because in practice it means running two websites independently of each other. When you add something to the “desktop” version, it will not appear automatically on the mobile version – so it is worth remembering it all and be vigilant so you do not miss anything. Here, apply well to the so-called three-click rules. In practice, this means sharing content into categories and sub-categories so that you can reach every place on the website from the home page in up to three clicks. For the user, your website will become transparent and intuitive in this way. All the content of interest will be easy to find. The more complicated your site, the less you will use it, which in turn increases the risk that your recipient will give up searching and will leave your website. The comfort of staying on your site is also influenced by such things as potential pop-ups and other similar practices. Do not try to keep the recipient at your own cost, because you can only discourage him. When your site will bring something and present a certain value, I will not need this type of treatment. Also, let the user know, for example, that he has added a product to the cart to avoid doubts and mistakes caused by accidental clicks, etc. It has to be practically the most, in every respect! Internal search engine on the site. We do not only care about it, because it is also the basis and almost a duty for the functionality of the website and viewing content on it. You should use facilities such as self-filling during the search, or the option to sort products after searching. Do not expect anybody to enter passwords faultlessly, which can be just a nuisance, especially for a mobile user. You will lose a lot when it prevents you from finding specific content. Searching on your website, as well as the entire website, requires good optimization and maximum adaptation to the user’s needs. You can lose as many potential customers as you do not adjust the purchasing process, for example to mobile devices, making buying from a mobile phone very time-consuming and cumbersome. The shopping process after adding a product to the basket by the user should be characterized by high concretion and convenience. Delete the fields of the form that are not necessary to make the purchase, inform about the number of steps to complete the process, let the buyer choose the most convenient method of payment for shopping. Only a few years ago, it was popular to browse products on a smartphone, and purchase on a computer, because it was more convenient. Currently, however, all the difficulties when shopping from a mobile device can cause the user to lose and “abandon the cart” because he will not want to spend so much time, attention and effort on shopping on your website. Appropriate placement of text on the site. You can even find extensive and complicated research on the subject of how people perceive content, focus on reading, the amount of time spent reading the content. They use even the eye-tracking method, which allows you to follow the movements of the eyeball while browsing the site. It is worth adapting to the basic rules that result from this type of research, and at least do not accuse recipients of articles for many thousands of signs under each product, and before its price, because of course it will not work in your favor and will not favor potential purchase. Also, use the analytical tools on your site to be able to read your audience’s behavior, learn and adapt to them. Perhaps each of you knows this feeling, when you were interested in the offer, you decided to buy, but you abandoned this desire when it turned out that the registration is necessary on the website. Well, when it is possible. You can encourage her, for example by offering specific profits instead. However, do not require registration to perform any activity on the site. Providing a large amount of data, email verification and similar details related to this process may cause you to see an abandoned shopping cart again instead of a new order from the customer. This issue is related to the above-mentioned usability of the site. The content should be optimized so that the structure of the website itself and the solutions applied on it should cause that the transition between subsequent sub pages should not take too long. This may be prevented by not optimized content, too large multimedia files, or factors that you have already reached at the stage of creating the page. Usability also means that you do not have to spend too much time to get to a particular place on your site, which is also related to the speed of the site. Your recipient will not wait forever, even if he is interested in the content or offer – remember about it! Call To Action (CTA, C2A). This is nothing but a direct return to your recipient. Therefore, in this respect, it is about the appropriate design, construction and placement of the message you send to users of your website. These are “Check”, “View”, “Buy now” phrases, etc. It is worth to test different solutions and again the whole content in this respect to optimize. The relevant C2A should be in the right place on a specific sub page and be adapted to the action we expect from the user. We can, for example, distinguish C2A from contextual and contextual context. The first type means phrases, the consequences of which will only be known to someone who has read the content of the site. An example of such a C2A may be consent to the acceptance of site regulations. The other type is phrases, such as “Add to cart”, meaning those that will bring a clear, concrete result, without going into details. As you can see, the seemingly easy question is actually something that is worth devoting more attention to when planning a page layout and writing texts. 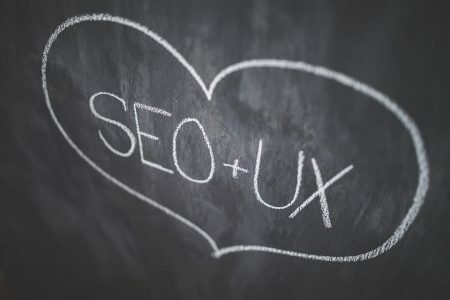 User Experience – the key to success? A modern but impractical site, i.e. created against UX rules, will not bring you conversions – new users or purchases. After all, the website of your company is not meant for you, but for those you want to reach, is not it? Follow trends in this respect, check what solutions are popular and effective on the web. Use experience – both your own and your potential recipients. Next PostNext Why Does Your SMM Strategy Fail?